At the January 27 meeting of the predominantly Queer San Diego Democratic Club, Jess Durfee, chair of the San Diego County Democratic Party and former president of the club, explained the challenges the party faces as the citizens’ redistricting commission begins work on redrawing legislative lines for the 2012 election and beyond. He also talked about California’s new open primary law, which also goes into effect in 2012 and allows members of any political party, or of no party at all, to vote in primary races, with the two top finishers from the primary running against each other in the general election even if they’re from the same political party. California’s Democratic leadership opposed both these changes, but Durfee’s presentation focused on making them work and protecting the party’s interests in this new electoral environment. Up until this year, California’s state legislature drew the boundaries for its own districts, and for those of the state’s 53 Congressmembers, and the names on the November general-election ballot for state and federal offices were the people who won their parties’ primaries. A series of initiatives passed by California voters in 2008 and 2010 changed all that: now the district lines will be drawn by an independent commission and the two top vote-getters in the primary, regardless of party, will face each other in the general election. 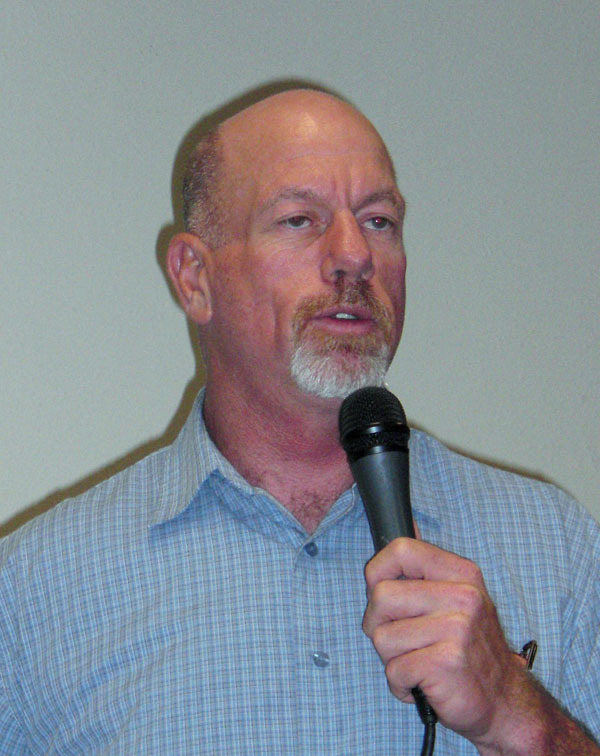 As chair of the San Diego County Democratic Party, Jess Durfee opposed those changes — but in a January 27 appearance before the predominantly Queer San Diego Democratic Club, of which he used to be the president, Durfee explained how the party can work with the new system as well as the potential dangers it poses for Democrats. Though the state Democratic party worked even harder to defeat the redistricting initiative than it did on the open primary — including a failed attempt to repeal the whole thing in 2010, two years after voters passed it in the first place — Durfee described the open primary as a greater potential threat to Democrats for one simple reason: Democrats tend not to vote in primaries. Currently, 44 percent of California’s voters are registered as Democrats, 31 percent as Republicans, and the rest either “decline to state” a party affiliation or register with one of the five smaller parties on the California ballot (Green, Peace and Freedom, Natural Law, Libertarian and American Independent). Yet in the 2010 primary, 45 percent of California’s registered Republicans voted versus only 31 percent of California’s Democrats. In California’s three major cities, there’s a similar imbalance between Democratic and Republican participation in primaries, Durfee explained. In Los Angeles, 35 percent of Republicans voted in the June 2010 primary versus 23 percent of Democrats. In San Francisco, it was 45 percent of Republicans versus 38 percent of Democrats. In San Diego, it was 53 percent of Republicans versus 36 percent of Democrats. Republicans, Durfee said, have pursued a successful strategy of placing Right-wing initiatives on primary ballots to lure their voters to the polls. Also, while San Diego has consolidated its local elections with the major presidential and gubernatorial elections in even-numbered years, San Francisco and Los Angeles still have their local elections in odd-numbered years — so they don’t serve as a lure to get Democratic voters in those cities out to the polls. How could this work in the real world? Durfee cited the 2010 election for attorney general, in which two major candidates ran in the Republican primary while six ran in the Democratic primary. Had the open primary been in effect in 2010, Kamala Harris — who won the Democratic primary and went on to beat Republican nominee Steve Cooley in the general election — would have come within half a percentage point of being eliminated in the primary, and the general election could easily have been between two Republicans. According to Durfee, Harris squeezed out a victory among her Democratic rivals only by being the lone woman in the race — suggesting that under the open primary system, multi-candidate primary races are a luxury California’s Democrats can no longer afford. “We cannot go into any more statewide races with six primary candidates,” Durfee said bluntly. Durfee began his presentation on redistricting by reviewing not only what the new redistricting commission is supposed to do but also how it was appointed. “The mandate is to draw districts that maintain geographic integrity and contiguity; protect ‘communities of interest,’ comply with the federal and state voting rights acts [which, in practice, means creating so-called ‘majority-minority districts’ on the theory that people of color can only win legislative elections if the majority of voters in the district share their ethnicity], and disregard the party affiliations of voters,” he explained. Other parts of the law require that each of the 40 State Senate districts contain two State Assembly districts — a California tradition the legislature abandoned in its last two redistricting plans — and that, wherever possible, cities and counties not be split between districts. (Currently, half of Chula Vista is in one Assembly district and half is in another — and Chula Vista is not so large it couldn’t all be contained in one district.) Because the commission’s instructions say it must not consider party affiliation when drawing new districts, Durfee said, it’s likely to produce districts radically different from the ones that exist today. Durfee began his presentation by explaining who’s on the current redistricting commission and how they were selected. The commission started with 30,000 applicants to their Web site, http://wedrawthelines.ca.gov, which were winnowed down in a series of screenings to 60. From this list, party leaders in the California legislature used their right to remove some people from consideration, much the way attorneys strike certain people from a jury pool, until the list was down to 36. The names of those 36 people were then put through a random drawing that produced eight commissioners — three Democrats, three Republicans and two registered decline to state or with another party — and those eight appointed the remaining six commissioners to bring the total membership to 14 and fulfill the legal requirement that the final commission contain five Democrats, five Republicans and four others. The requirement in the redistricting initiative that the commission contain equal numbers of Democrats and Republicans — in a state where registered Democrats currently outnumber Republicans 44 to 31 percent — was one of the reasons the Democratic Party not only opposed the initiative in 2008 but sponsored another initiative in 2010 to get rid of the commission altogether. Durfee said he continues to be troubled by the enforced parity, but there’s nothing he or anyone in the state Democratic party can do about it short of using their challenges to make sure the Republicans on the commission are fair-minded people who live up to the law’s requirements that the commissioners not be too heavily involved in partisan political activity: they can’t ever have served in elective office or been on an elected official’s staff, and they can’t have donated more than $1,000 to political campaigns in any one election cycle. Durfee said the state Democratic Party was “the only organization … who complained about anyone” after the initial pool was whittled down to 36. “We found one person in the final round who had worked for a Republican political consulting firm that had drawn the legislative districts in Arizona” — districts widely credited with boosting Republican representation at the expense of Democratic candidates and voters — and another who had sought to evade the ban on contributions of more than $1,000 per election cycle by having her husband write large checks to John McCain, Jim DeMint (highly Right-wing Republican Senator from South Carolina) and other GOP candidates. The Democrats were able to get her removed from the final pool. Another API Republican who won Democratic support, and who ultimately got on the commission, was Gil Ontai of San Diego — whom Durfee and his fellow Democrats backed because without him, there would have been no one from California’s second-largest city on the final panel. Meanwhile, Cynthia Dai from San Francisco, one of the people who got on the commission in the drawing for the first eight members, has since resigned — and Durfee said party officials will be lobbying the commission to replace her with a non-Asian Democrat from San Francisco because if a San Franciscan isn’t appointed, that city won’t be represented on the commission. The commission already started to hold public hearings on redistricting in January, giving Queer community representatives and others to argue that theirs constitutes a “community of interest” whose needs should be taken into account in the final map. (As Durfee explained it, the definition of “community of interest” is quite broad and could encompass almost anything the commissioners want it to mean, or can be persuaded it means. It can include geographical regions as well as political/ideological interests like environmentalism.) This month, the commission will start touring the state for more hearings. By April, official data from the 2010 U.S. Census — on which the commission must base its maps — will be available, and the commission will hold another round of statewide hearings and release a preliminary plan in June. The club also heard from Rocky Neptun, radical Queer activist and organizer of the San Diego Renters’ Union, the San Diego Bus Riders’ Association, the Caring Council and other groups working to formulate a truly progressive alternative for San Diego under the banner “San Diego Coalition for Honest and Fair Government.” Neptun announced his candidacy for mayor of San Diego in 2012 and said his groups will be running challengers in City Council Districts 1, 3 and 5 on an agenda contained in a two-page platform he handed out at the meeting. Though the platform sets an ambitious agenda — including building a light monorail system above most San Diego thoroughfares, decentralizing city government into so-called “neighborhood councils,” using those councils to develop a “participatory budget process,” making San Diego an “amnesty city” for undocumented immigrants, and making the city’s water supply independent of the Los Angeles Metropolitan Water District by 2030 — Neptun used his speaking time to focus on two of its most significant points: rent stabilization and free public transit. 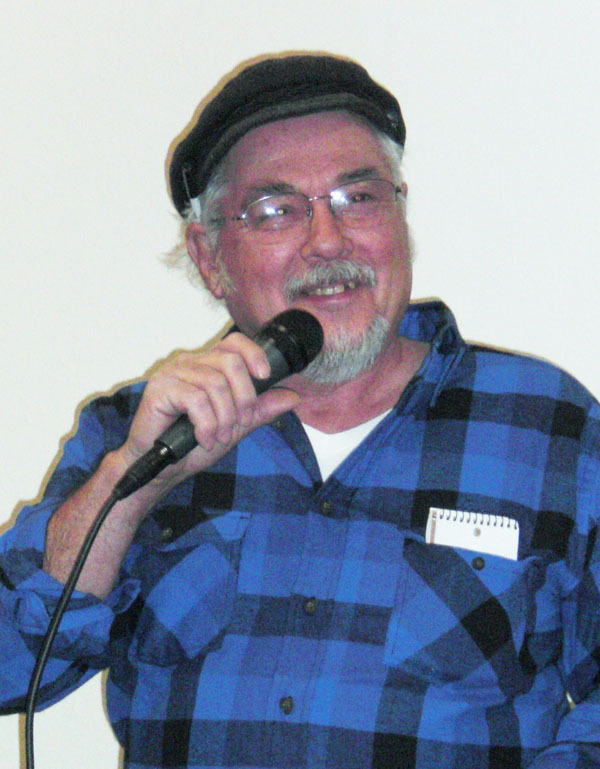 Finally, the club elected new officers for 2011 and approved a new set of bylaws prepared by newly elected club president Doug Case to bring the club’s official regulations in line with how it is actually run. The officers include three former club presidents — Case as president (one member jokingly compared him to California’s former and present governor, Jerry Brown), Jeri Dilno as executive vice-president and Craig Roberts as vice-president for political action. Matt Corrales was elected vice-president for development (fundraising), and Brad Jacobsen and John Gordon were re-elected secretary and treasurer, respectively.